I’ve had this recipe in my stash for about six months now. Basically, they’ve become my favorite cupcakes of all time. I was making them “out of season” if you will, and saving them to post when it seemed appropriate. I don’t have any special Halloween recipes, and I haven’t been able to post much lately due to our move, new jobs, empty house, T-ball, soccer, etc. I’ve actually even been hesitant to post anything at all because things that I have aren’t “fall” enough. 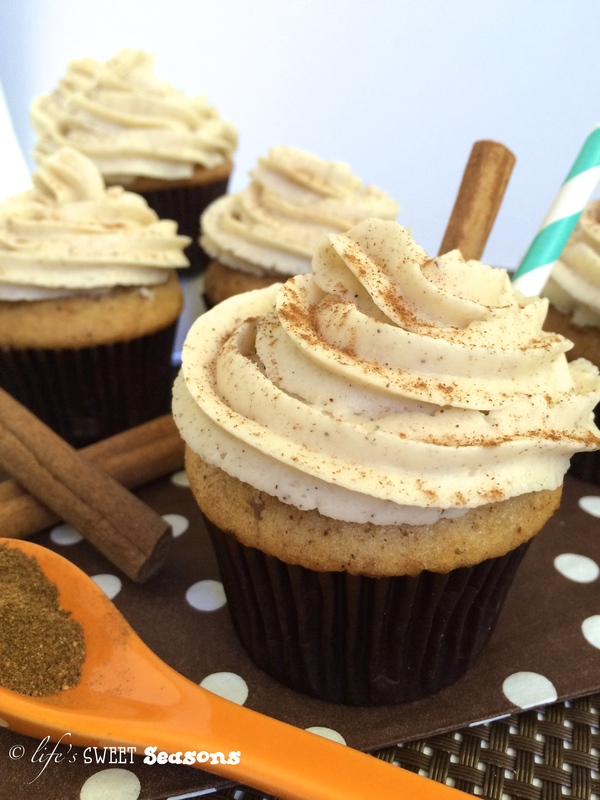 Well, this recipe IS fall. It makes me think of cider mills, colorful leaves that you crunch through to get to the park, and chilly afternoons. Who knew I would miss Ann Arbor? We first made these there, and perfected them there as well. While I wouldn’t say I’m making a blogging comeback, it’s an awesome recipe to post as I’m trying to get back in the swing of things. 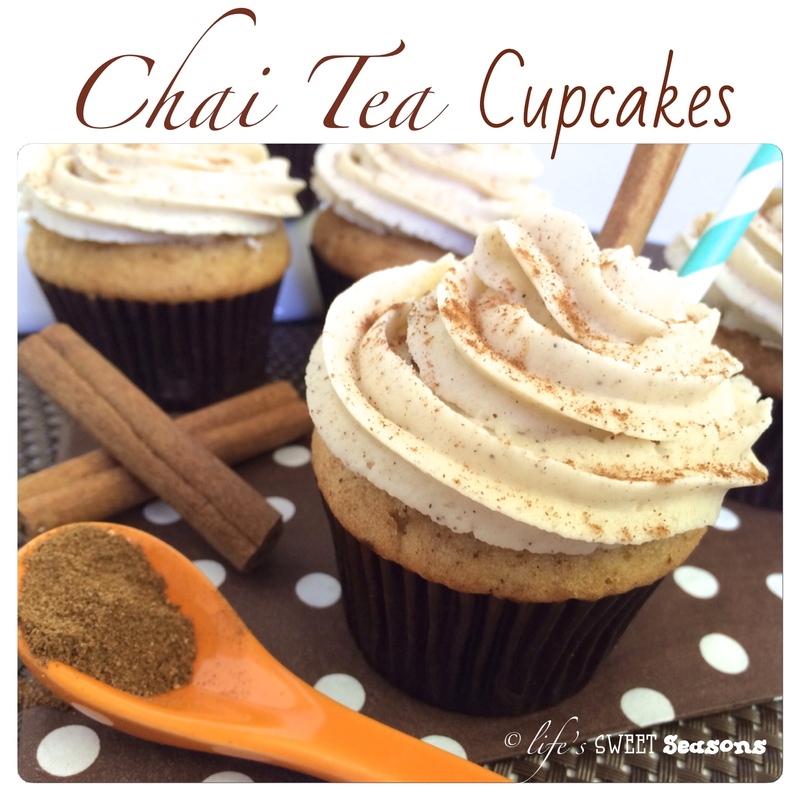 And so began our chai tea cupcake making extravaganza. I first made these by scratch according to a recipe from Taste of Home, but they were too dry. Lindsay, my four-year-old usually eats anything, especially dessert, and this time she ate all the frosting off the top and left the cupcake with a couple tiny bites out of it. I also would have liked a tad more flavor in the cupcake itself while Mike wanted more flavor in the frosting. I’m not too big a fan of plain buttercream frosting so we made our frosting a cream cheese frosting with the chai tea spices mixed in. With all that being said, this is the final product. 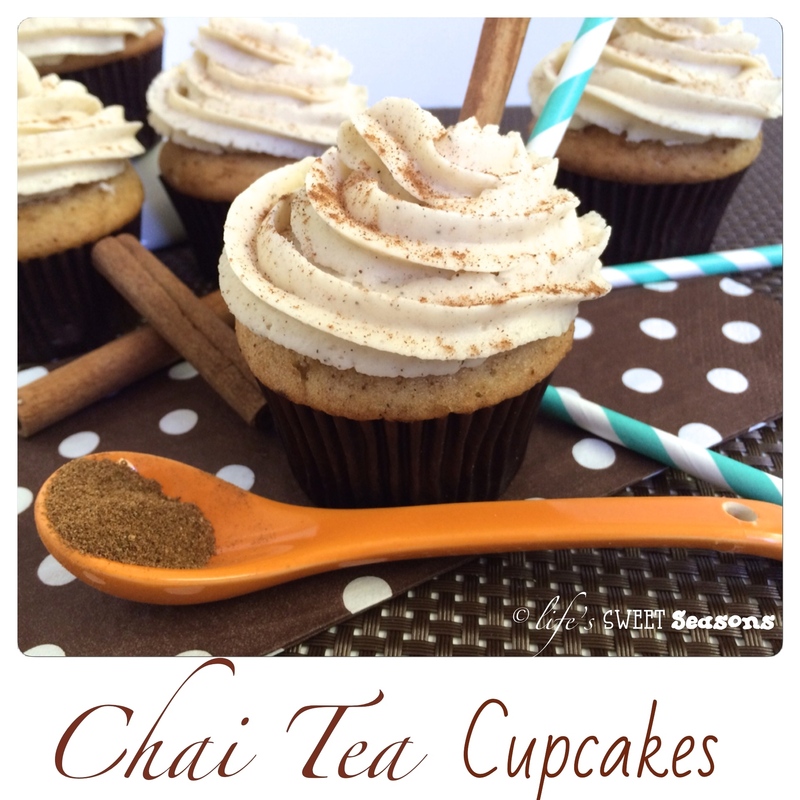 Purchasing the cake mix makes it simple, while the addition of chai tea spice mix makes it unique. The hardest part of this recipe is forking out the money to buy the cardamom. Preheat oven according to box instructions. Mix dry cake mix with 2 and 1/2 teaspoons of the spice mixture. Set aside the rest of the spice mixture to use in frosting. Continue to prepare cake mix as directed on box. While the cupcakes cool make the frosting. Beat cream cheese, powdered sugar, and spice mixture on low first and then gradually increase the speed until smooth. Notes- If your “splash” of milk makes your frosting too thin, just add more powdered sugar until you get the desired consistency. I find that this amount of frosting is perfect for 18 cupcakes for my tastebuds, especially if I’m planning on using a piping bag. If you’re not a huge frosting fan, you might want to cut the recipe in half, using half a stick of cream cheese (4oz) and 2 cups of sugar. In that case, you’ll need an even smaller splash of milk. You don’t have to worry about the spices too much, they’ll just be slightly stronger and just as divine. I’ve actually made it like this for my family because Mike isn’t too big on a ton of frosting.